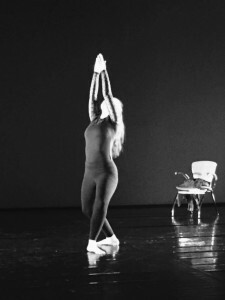 This professional dancer, teacher and choreographer was able to find the treatment she needed to resolve a foot injury which presented itself just ahead of an intensive post graduate research period. Passing her MA with distinction the patient contacted the clinic in writing expressing how grateful she had been for such immediate and specialist help. “I just wanted to let you know that I am travelling down to Luton to graduate from my MA Performance & Choreography – with distinction! This was largely assessed on my practical research and dance performance! Joanne, I just want to really thank you for your help and support during the time I was doing this. You helped give me confidence and calmed me down with my new and unfamiliar injury. I am so grateful for how you worked with me physically, but how you also provided me with some containment in the way you gave some organisation to my rehabilitation. We are so lucky to have you here in Newcastle, or even the UK. Both as an excellent physiotherapist, but also as a researched and practised dancer yourself. It really is invaluable.